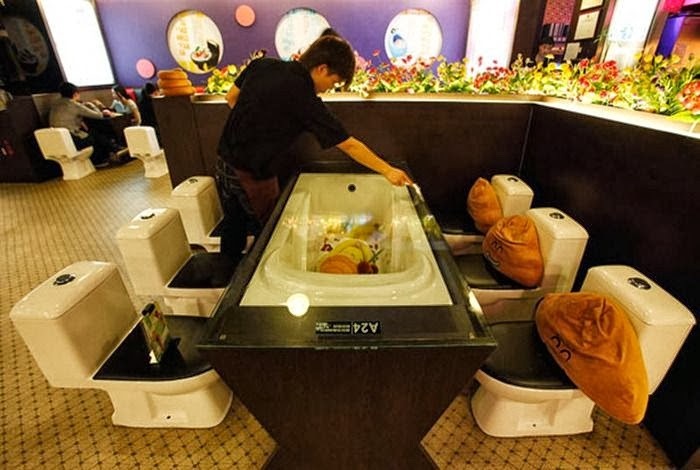 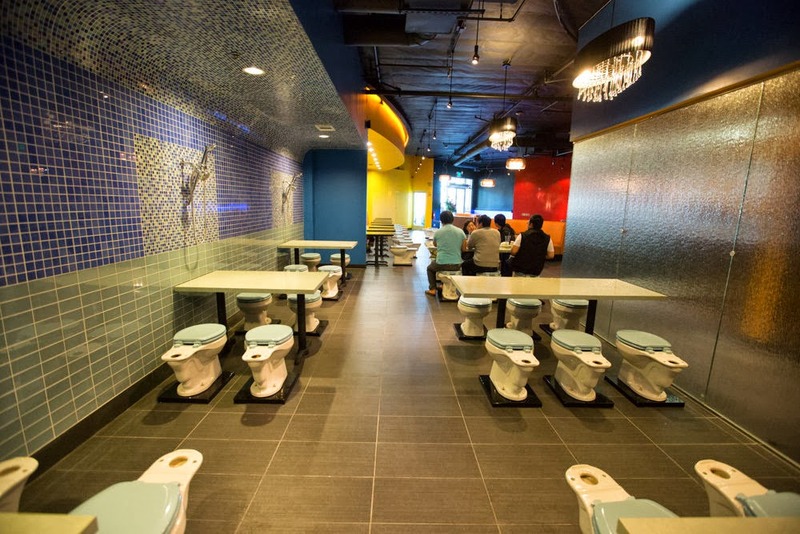 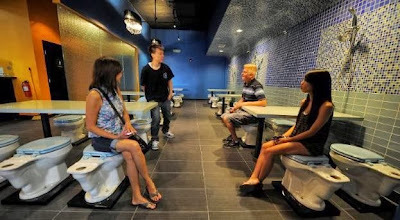 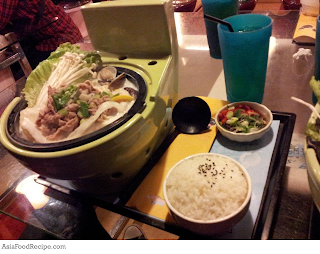 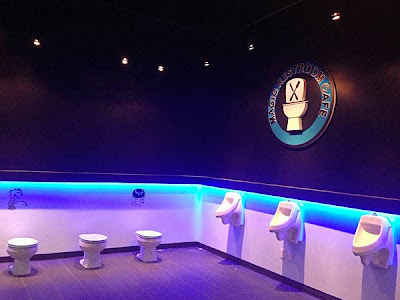 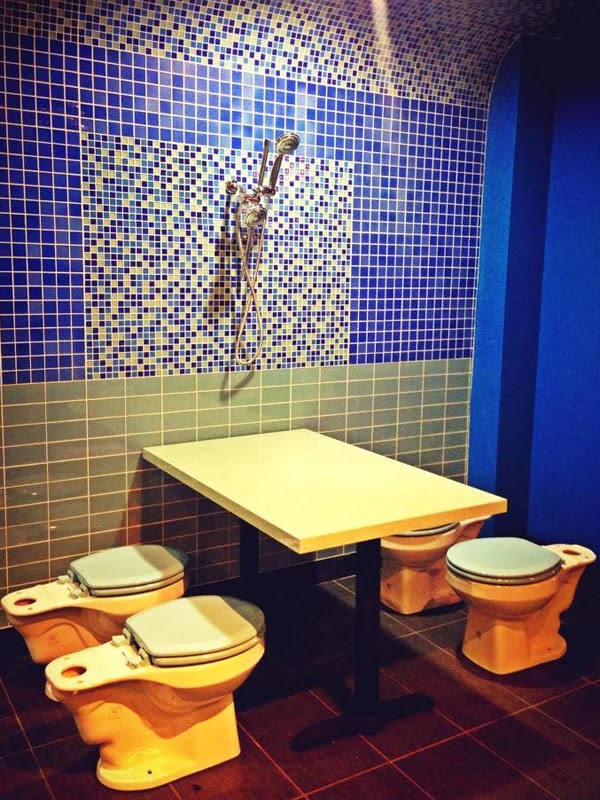 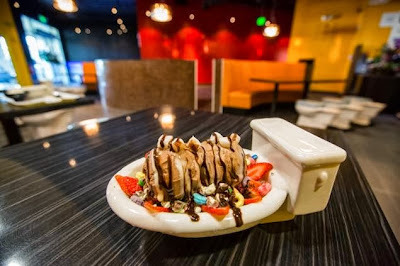 ilulz Blog: America's first TOILET themed restaurant! 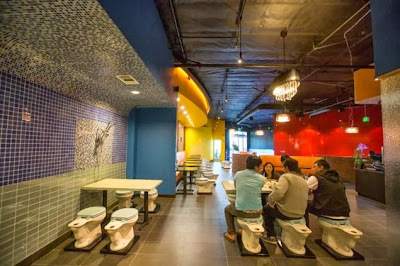 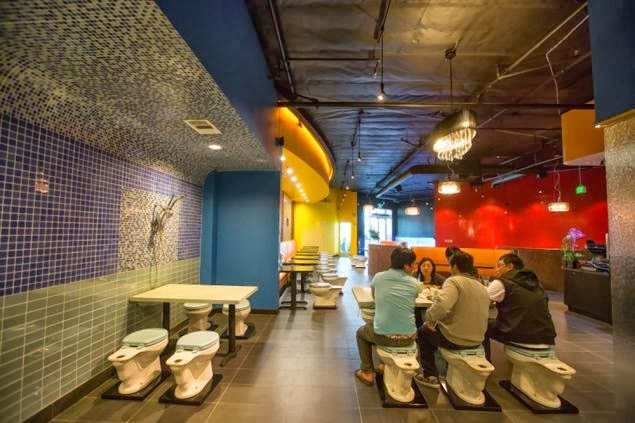 The Magic Restroom Cafe in L.A's city of Industry is America's first toilet-themed eatery. 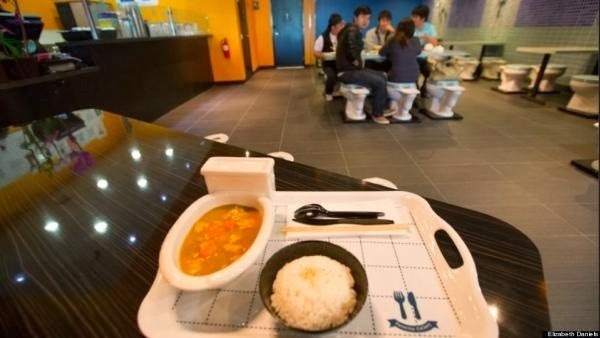 All the dishes, seats and food items are focused on toilets, bathrooms and human bodily functions. 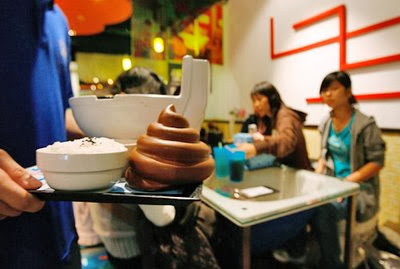 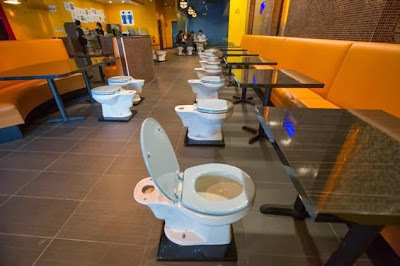 Customers hoping for a crappy dinning experience sit on stools topped with toilet seats and order appetizing menu items like "golden poop rice," "black poop" (a chocolate sundae), "smells-like-poop" (braised pork over rice), and "bloody number two" (vanilla strawberry sundae). 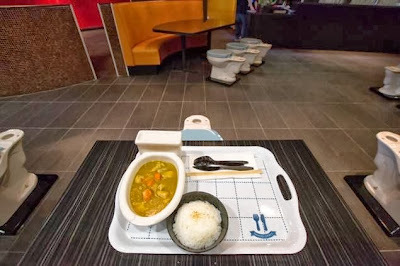 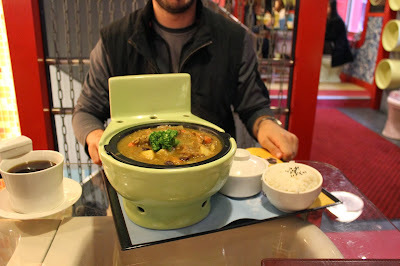 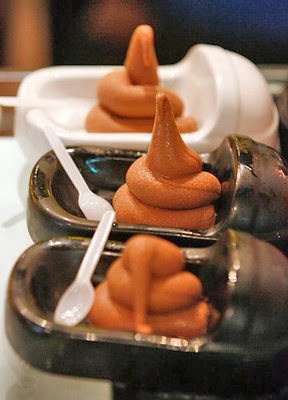 Those defecation themed dishes are then served in miniature toilet bowls. 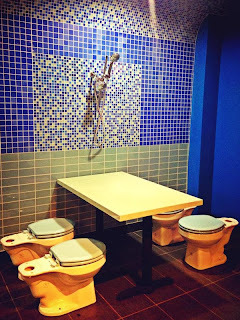 Magic Restroom Cafe officially opened October 11, 20133 and, so far, the decor is getting better reviews then the food! 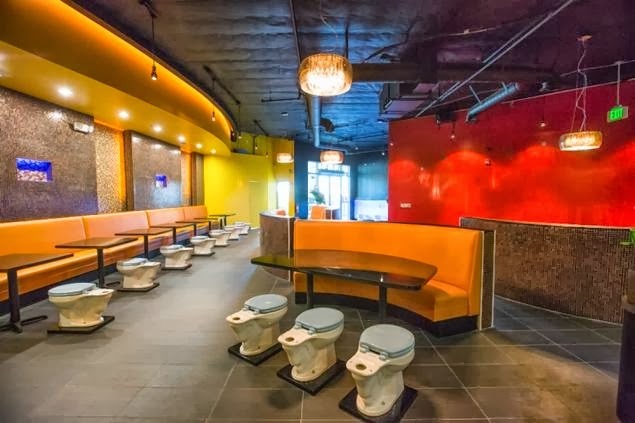 Will you ever consider trying out this restaurant? And why? Or would you like to see this restaurant opening in your country? What do you think will happen if it did?